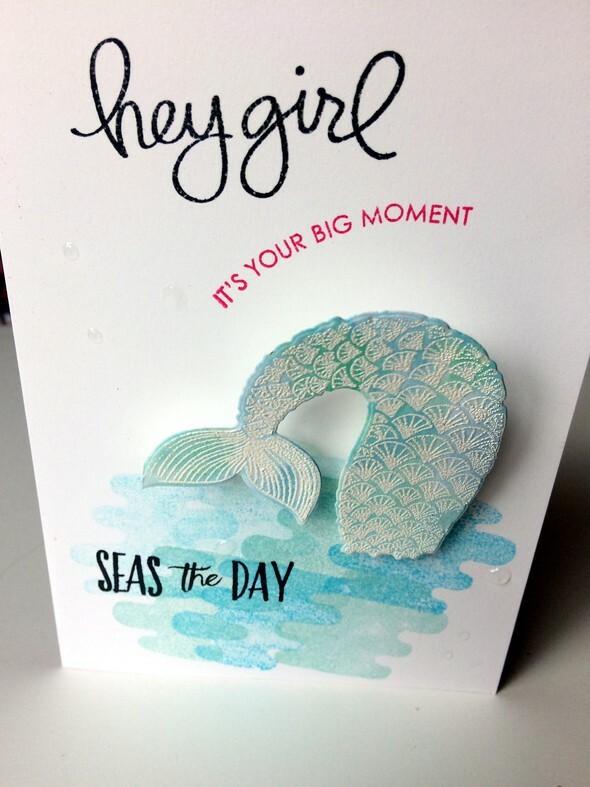 LOAW June Week #3 I stamped my mermaid tale with white embossing powder,heat set it so I could water color it. I used different shades of blue and green and allowing the colors to blend. I sprayed it with Nuvo Shimmer spray to give it a really great glittery shine(not able to photograph that). I stamped my water using the stamp sub stamp in two different shades & used Wink of Stella on that area. I used a mini wobbler to adhere the tail to the birthday card. 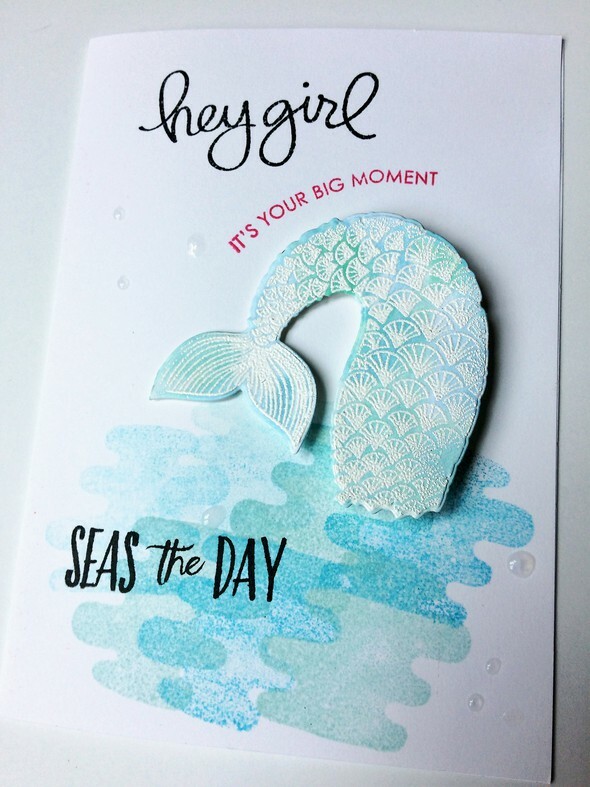 Celebrate stamp set sentiments.